Mix-n-Stain™ Cyanine Dye Antibody Labeling Kits allow you to covalently label as little as ≤5 ug up to 100 ug of your antibody in just 30 minutes, with minimal hands-on time and no purification. The kits tolerate common antibody buffer formulations. 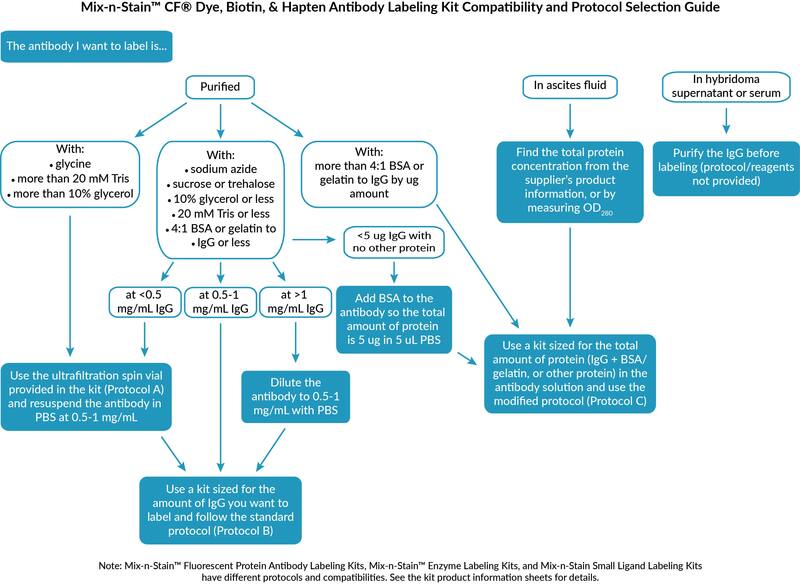 With a slight modification in protocol, antibodies even can be labeled in the presence of BSA, gelatin, or ascites fluid, for unrivaled convenience. For more information and guidelines for selecting a kit size, please download the Mix-n-Stain™ flyer and the product information sheet for this product. Red fluorescent Cyanine 555 is structurally identical to Cy®3. Far-red fluorescent Cyanine 647 is structurally identical to Cy®5. 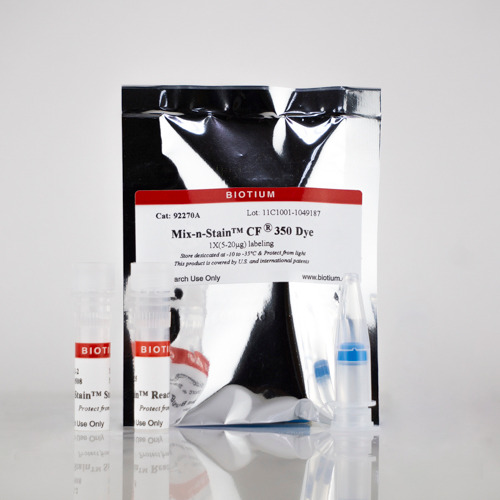 We also offer Mix-n-Stain™ kits for labeling antibodies with Biotium’s next-generation CF® dyes, enzymes, fluorescent proteins, biotin, and DIG. See the product table below. Cy is a registered trademark of GE Healthcare. Download a list of Mix-n-Stain™ references.